Web News System: Wait?? Where Was The Shining Filmed? 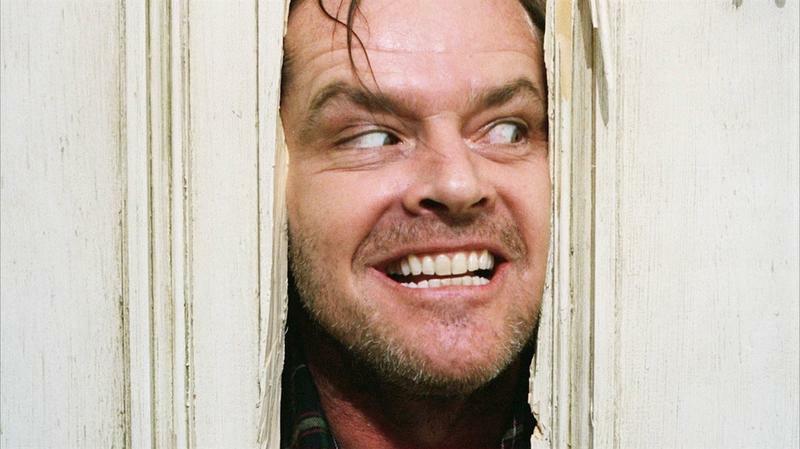 Stanley Kubrick’s 1980 movie, The Shining, set the bar high for suspense-filled, get-in-your-head, horror flicks. That’s probably because the film was based on a 1977 Stephen King novel…and Stephen King is the king when it comes to scaring us witless. It could also be because of the stellar cast of The Shining…Jack Nicholson, Shelley Duvall, and Scatman Crothers. But most likely, it was the remote and desolate setting of The Shining that made us get the chills. While most people are familiar with the flick, there remains quite a bit of confusion about where The Shining was filmed. We are here to clear up the debate. In The Shining, a frustrated writer, Jack Torrance, takes on the job of being the winter caretaker at the Overlook Hotel, located in a remote spot in the Rocky Mountains. With him are his wife, Wendy, and son, Danny, as well as a few remaining hotel workers. There, Jack’s mental health rapidly deteriorates, partly due to the isolation and partly because of the supernatural forces that inhabit the hotel. Is The Shining Hotel In Colorado? Many people think so. That’s because the real-life hotel, The Stanley Hotel, in Estes Park, Colorado, inspired Stephen King to write his novel, The Shining. The Stanley Hotel is a historic Colonial Revival hotel that was built in 1909 by Freelan Oscar Stanley, the owner of the Stanley Steamer company. King and his wife once stayed at The Stanley Hotel, albeit in room number 217, not 237) and King was intrigued by the mysterious vibe of the old hotel, as well as its remoteness. He chose to pattern his Overlook Hotel in his novel, The Shining, after The Stanley Hotel. Is The Shining Hotel in Oregon? When director Stanley Kubrick decided to bring King’s novel to the big screen, he searched for just the right location to shoot The Shining. While The Stanley Hotel was an obvious choice, Kubrick found just what he had in mind at the Timberline Lodge on Mt. Hood in Oregon. 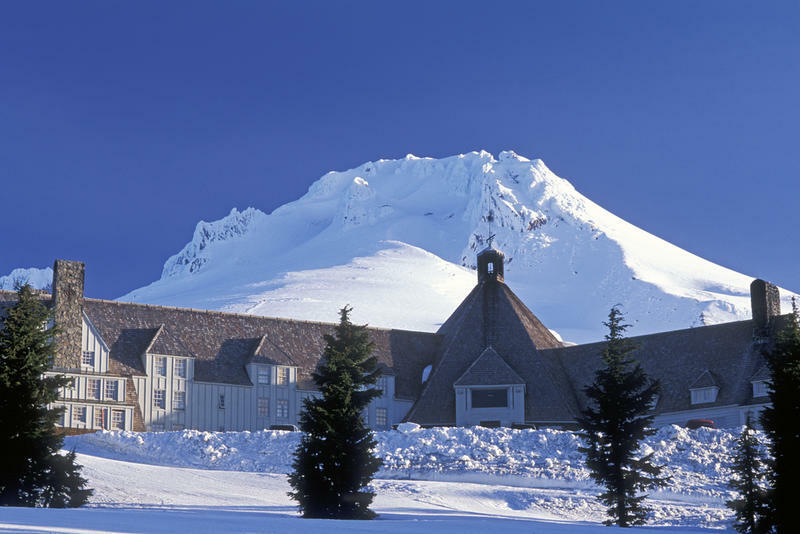 Built in 1938, the Timberline Lodge sits at an elevation of nearly 6,000 feet. 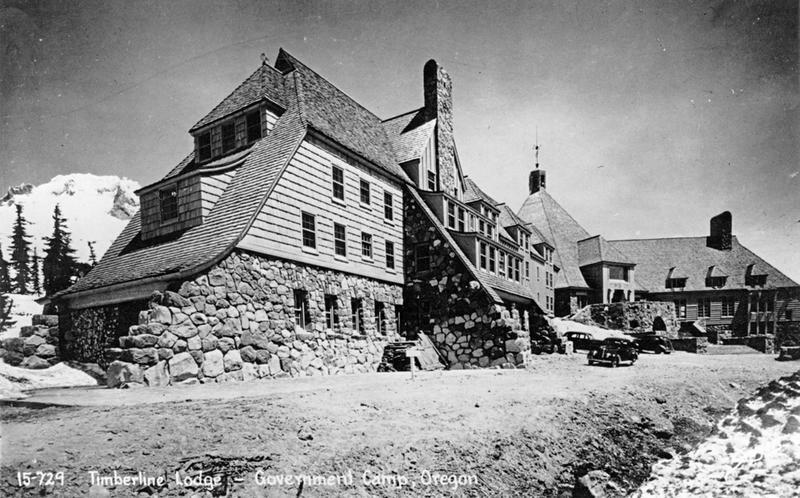 The sprawling, rustic lodge is now a National Historic Landmark and is only accessible via the Mount Hood Scenic Byway, a winding road that ascends Mt. Hood. Is The Shining Hotel in California? Stanley Kubrick had a specific idea in mind for what he wanted the interior of The Overlook Hotel to look like. He wanted it to resemble the Ahwahnee Hotel, located in Yosemite National Park in California. The stone building, located at the base of Yosemite Valley, first opened its doors to visitors in 1927. 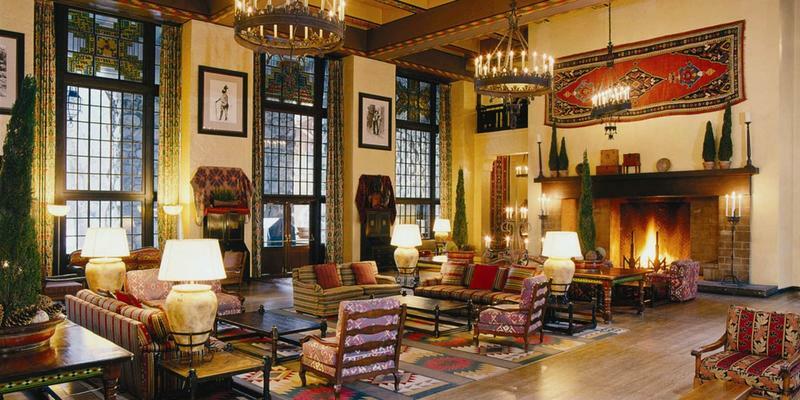 Now a National Historic Landmark, the Ahwahnee Hotel is a good representation of the architectural style that became known as National Park Service rustic. The interior features a mix of stone, wood and glass for a true outdoorsy feel. Fans of The Shining may recognize the exterior of Timberline Lodge. That’s because Kubrick used shots of the lodge’s impressive exterior as the exterior for The Overlook Hotel in The Shining. Although The Stanley Hotel may have inspired King to write his novel, this location is not featured in the film version of The Shining. 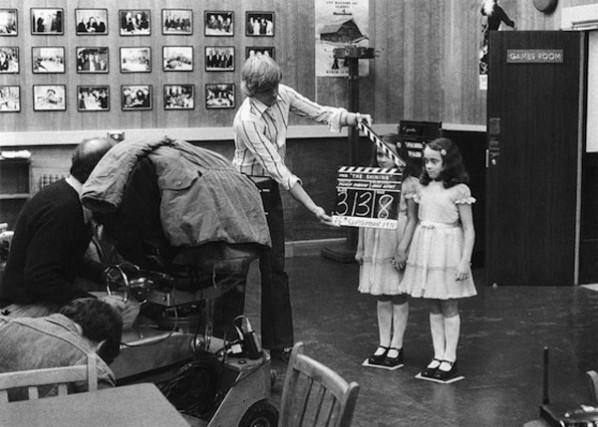 Filming of The Shining at Elstree Studio in England. Although the set was inspired by the Ahwahnee Hotel in California, the interior shots of The Overlook Hotel were filmed in a movie studio. That studio was Elstree Studios in Hertfordshire, England. None of the hotels that served as the inspiration for The Overlook Hotel…The Stanley Hotel, Timberline Lodge, or the Ahwahnee Hotel…have the weird maze that was shown in The Shining. That maze was built just down the road from the Elstree Studios, at the old MGM Borehamwood Studios, also in Hertfordshire, England. 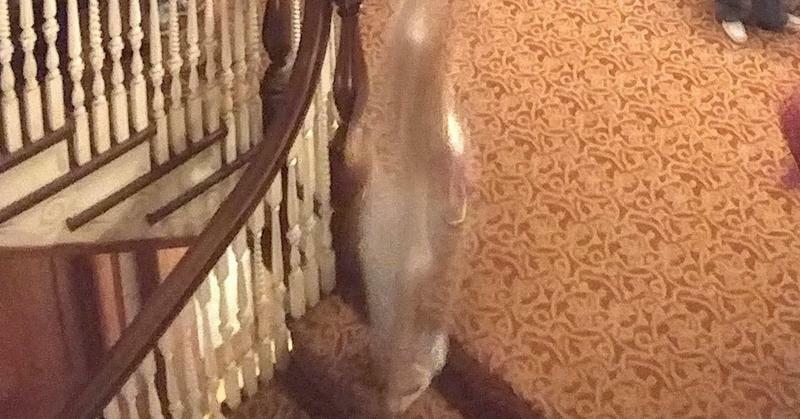 Is this a ghost caught on film at The Stanley Hotel? The Overlook Hotel in The Shining is overflowing with supernatural activity, but are any of the three hotels that are often associated with The Shining just as haunted? 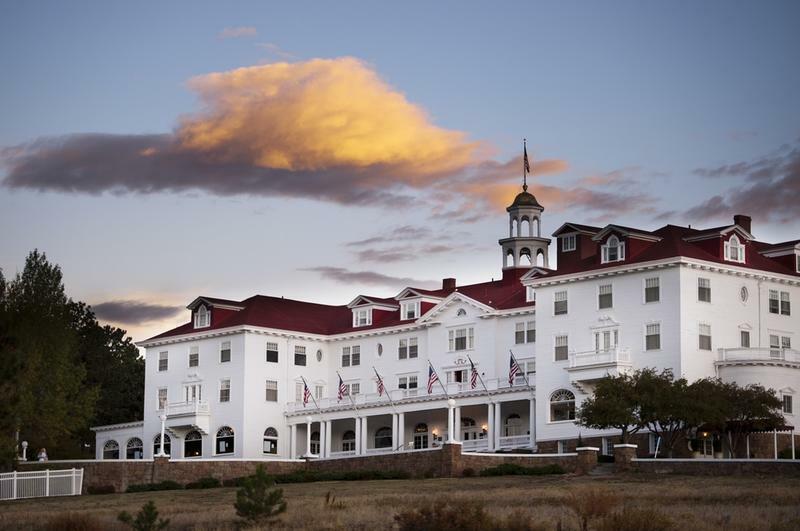 There are plenty of stories linking The Stanley Hotel with ghost sightings. In fact, the hotel capitalizes on this by offering a haunted tour of the Colorado hotel. A disclaimer notes that the ghosts are not on the hotel’s payroll and may not appear during the tour. Comparatively, Timberline Lodge’s supernatural vibe seems fairly tame. While there have been the odd claim of a ghostly encounter, the old hotel is not the hotbed of spiritual chaos that one would expect. The Ahwahnee Hotel, however, is said to be linked to the Tenaya Canyon curse. In the 1850s, Chief Tenayan of the Ahwahnechee tribe cursed the whole area after the death of his son. The hotel and the canyon area are sometimes called the “Bermuda Triangle of Yosemite” because of the unusual activity observed there.